New 2006 product. Consists of a set of 4 seives that stack together for reducing raw product into 4 sizes. Polyester screens are 475u, 250u, 120u, and 53u. 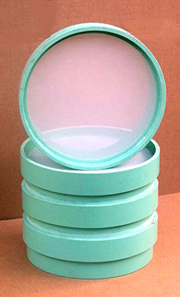 Diameter of collectors are 6″.